The next book is ‘a cooking’! You will NOT believe what happens! The next book (to be released in September) has even surprised me and I am writing it. I am sure that my fingers are several centimetres shorter due to the amount I have been writing lately. I wish I could be a fly on the wall when you read this one. I hope there are enough OMG moments for you in the storyline! Thank you all for your kind messages, for updating me on your reading progress, your thoughts, your opinions, your feelings about my characters. I love your feedback! I write for you! Wow, I do not even know where to start or how to write this review. 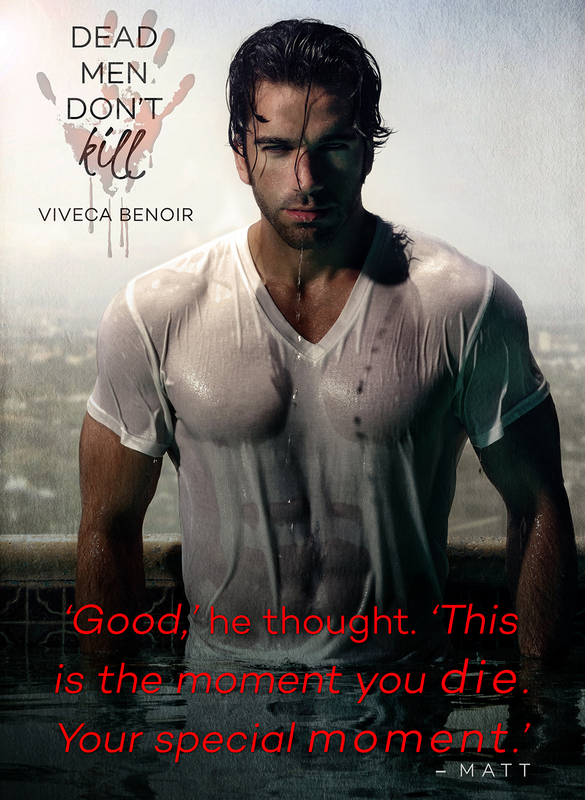 Viveca Benoir did it again. I would love to dissect her brain, LOL, because I don’t know how her mind comes up with these intricate stories where people are all interwoven somehow. Her stories have so many twists, turns, and bumps they literally leave your head spinning and your heart wondering how or why it could feel anything for these sinister and hateful characters!! Oh did I mention my jaw being open plenty of times too!! If you do not take the time to read Viveca’s foreward in her books, go back and do so. Her thoughts are absolutely fascinating. That mind of hers is definitely twisted. 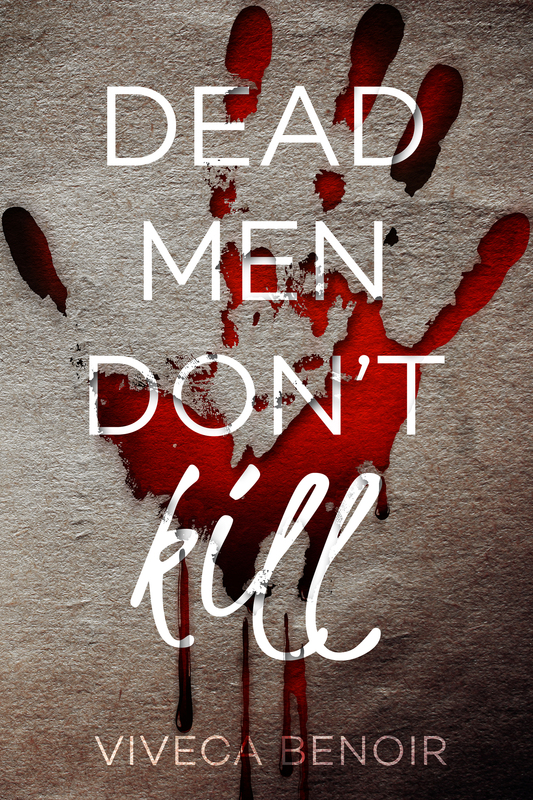 Dead Men Don’t Kill is the continuation of Matt’s story. Matt has come back from the dead, but was he really dead to begin with? Revenge! This book is about Matt’s revenge on those he feel have wronged him. Ellen, Vero, Nico and Dean .. do any survive? Are there any others that are caught in the path of revenge? I guess you are going to have to read this to find out! Someone, close to Matt in more ways than not, is a major character in this book. Who is it? I loved it!!! What’s their connection? Will history repeat its self? Five brilliant stars! An absolutely dark read not for the faint of heart!!!!! 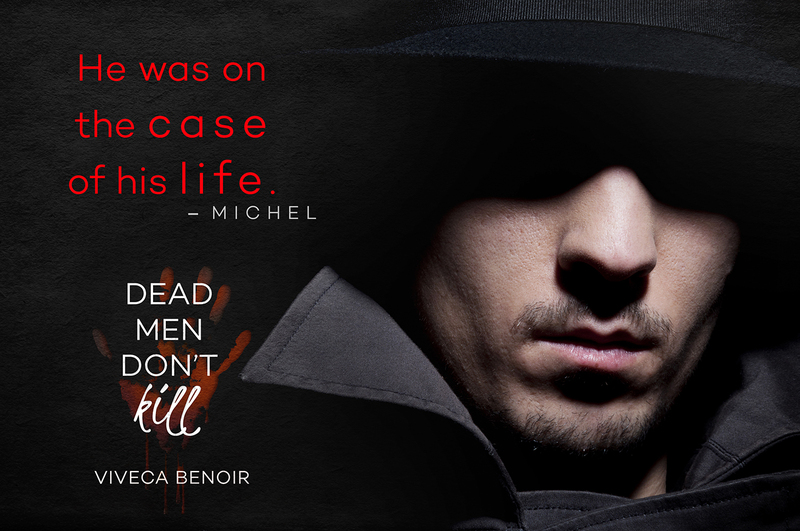 Viveca Benoir has done it again with another OMG! We all thought Matt was dead, gone, buried and the Evil never to return, how WRONG we were. Matt’s back with a vengeance to deliver REVENGE! 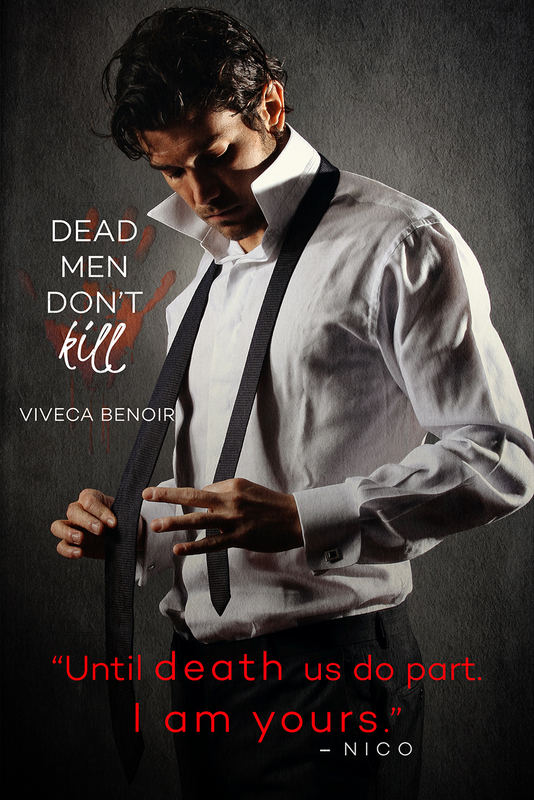 For Veronique, Ellen, Dean, and Nico, life is about to take a turn for the very worst, but with only seeing a ghost from their past what can they do ?? Who will survive ??. 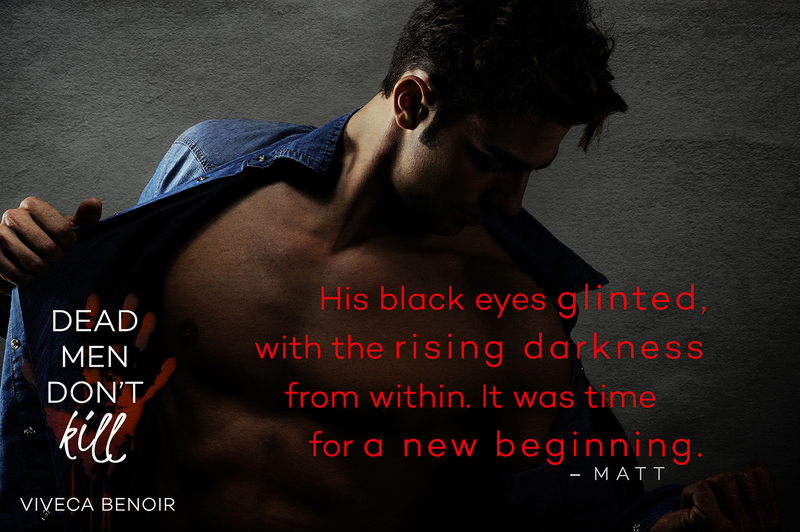 It’s so full of twists and turns, and OMG moments that you will once again be drawn into stalking, plotting, and the emotional roller coaster we know as Matt. I don’t like spoilers, so I won’t give to much away…. But Marie is back with a plan of her own. She is one WILD child! What I would give to spend one day in the mind of Viveca Benoir…. Today is THE Day! Finally, the book you have all been waiting for has been released! Get your copy NOW!! Michel is hunting him down. He will get his man. Expect chills when you meet Matt. He’s walking darkness. Matt – you don’t want to cross him…really you don’t!